Students spent a week learning about various aspects of the Mt. Laurel Township Police Department and modern policing. Students rode through an Emergency Vehicle Operator with officers from the Mt. 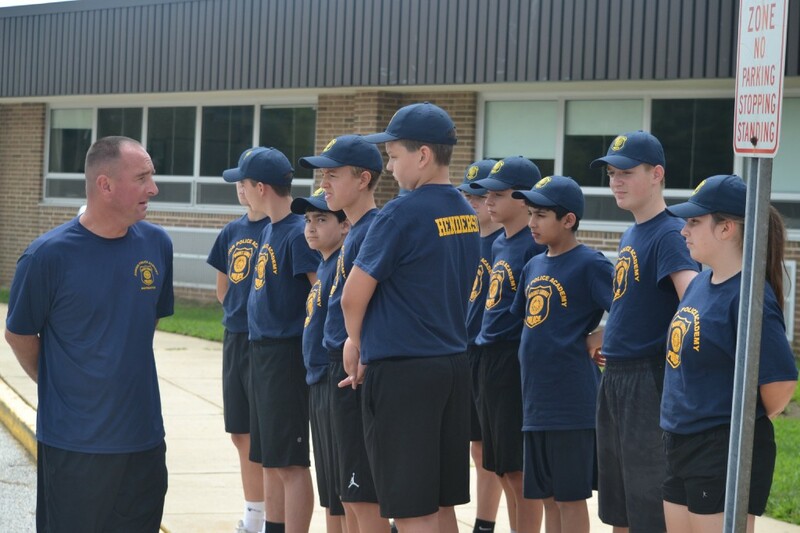 Laurel Township Police Department as just one part of the department’s Junior Police Academy held this week behind Harrington Middle School. The tire tracks left on the pavement behind Harrington Middle School this week point to one thing — and no, it’s not teachers using their summer break to hold illegal midnight drag races. No, the tire tracks actually came from Mt. Laurel Police Department as part of the department’s third annual Junior Police Academy. As in past years, the program was open to students entering seventh or eighth grade this fall who had an interest in learning more about local law enforcement. This year’s academy was scheduled to run for five days, from Aug. 13 through Aug. 17, from 8 a.m. to 3 p.m. at Harrington Middle. Seating was limited to 24 applicants, with all students who applied for academy also required to submitted a letter of recommendation by a school representative, such as a teacher, guidance counselor, etc. With members of Mt. Laurel’s finest on-hand to serve as instructors, the students spent their week learning about various aspects of the Mt. Laurel Township Police Department and modern policing. Whether the topic was firearms safety, police ethics, CPR training, physical drills, patrol tactics, mock traffic stops, the department’s K-9 unit or any number of other law enforcement-related topics, students got to experience just a bit of what daily work entails for those serving with Mt. Laurel Police. “The objective is to provide a week of education and fun through a police academy format to youth of our community who are interested in law enforcement,” read the letter announcing this year’s academy. 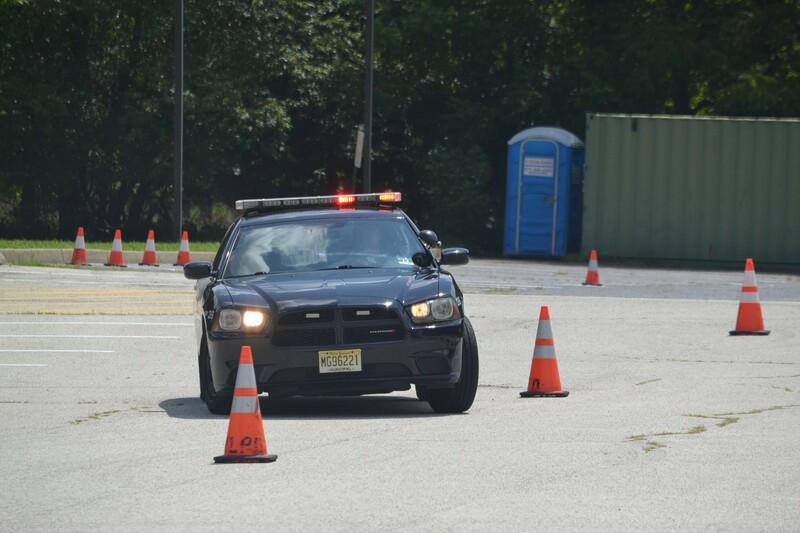 And yes, the academy was also responsible for the tire tracks behind Harrington, as the academy also offered students the chance to ride with officers in their police vehicles as they burned rubber and dodged traffic cones in a demonstration of the obstacle course emergency vehicles operators must learn to navigate. Now in its third-year, police officials said the academy continues to introduce interested middle school students to the world of police work, while also serving the duel purpose of trying to teach kids that Mt. Laurel’s officers are there to help students and members of the public when they’re in need. Officials said the academy also has students work together as a unit, rather than individuals. With the academy designed toward group lessons and group work, officials said students are trained similar to Mt. Laurel’s officers, with students taught to think as a team and help one another. For those who want to learn more about future programs or news from the Mt. Laurel Police Department, follow the department on Facebook at www.facebook.com/mountlaurelpd.